Delicious, sweet, animal-free, non-dairy Chocolate Fudge pudding! Each 4 oz. 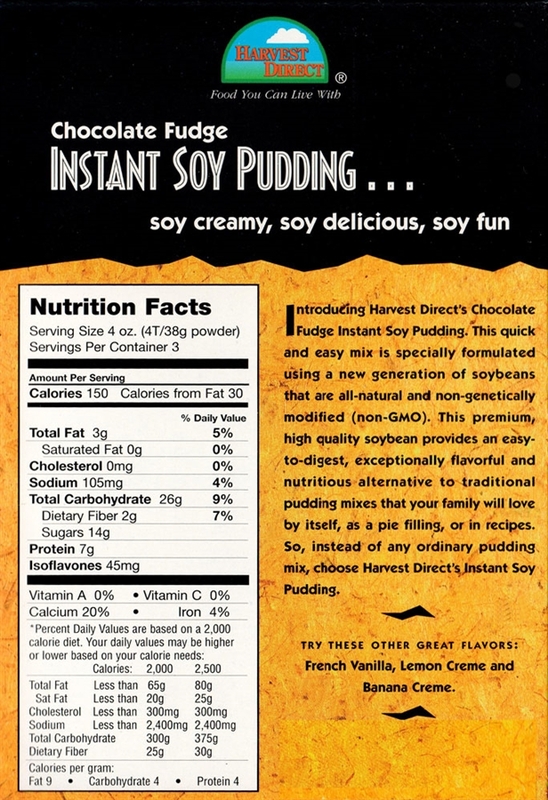 package makes 3 servings of delicious, vegan, Chocolate Fudge pudding. Fixed this up for the hubby and he had no idea it wasn't "store bought" regular pudding. That means it was good, he is very picky. I have spent years cooking everything from scratch as I do not want garbage so I was not sure about anything from a box. I was very surprised and pleased with the flavor as well as the ingredients. Thank you! Yummy! Very light and almost fluffy! Great taste and stays well in referig. This almost malty flavored pudding is quite decadent. I use it as a snack and in desserts that call for pudding. Super fast to make. Great with berries.